We’re excited to continue our series of seed giveaways with a giveaway from Renee’s Garden! They offer vegetable, herb, and flower seeds, including heirlooms, hybrids, open-pollinated varieties, and Certified Organic seeds. Renee’s Garden also sells Scatter Garden seeds including cover crops and flowers for pollinators, custom packets for special events, and gifts for gardeners. Renee’s Garden is based in Felton, California but their seeds have been guaranteed for every major climate zone in the United States. The owner Renee Shepherd selects the seeds based on their great flavor and strong performance in home gardens. In 2014, Renee published her most recent cookbook – The Renee’s Garden Cookbook – with recipes focused on incorporating produce from your kitchen garden. The book is organized by vegetable type and features beautiful watercolors of herbs and vegetables. 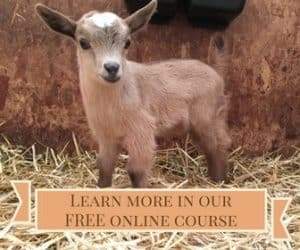 There is also a helpful section on their website with gardening resources and gardening and cooking how-to videos. 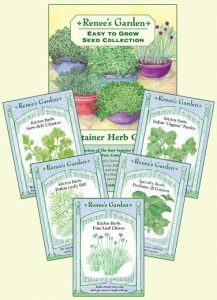 You can shop the Renee’s Garden catalog and purchase their seeds by mail or at local retailers. Each year, Renee’s Garden donates seeds to many organizations worldwide working towards health, social, and economic causes and promoting organic, sustainable agriculture. 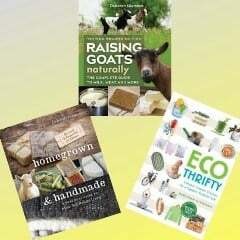 Want to win two of their seed collections and a gift certificate? Each of the collections contains five seed packets as well as a container gardening guide. Be sure to use your real name when leaving a comment so that we can match it up with your entry in case you win. You’ll have one week to respond with your address if you win or we will draw another winner. Make sure to check back on the website when we announce the winner and check your spam folder so you won’t miss our email! My husband and I have begun raising our own vegetables at home in raised garden beds. We still have so much to learn about small home gardening and we are so hoping that this year will be a better year for us and our vegies!! 🙂 You have a great site! My big gardening goal this year is to keep on top of weeding! We’re also looking forward to trying some new varieties this year. My gardening goals this year are to build raised beds for my yard (currently just using pots), start more plants from seeds instead of buying starts, and to keep my garden going year round! Our family is so excited to grow our veggie garden this year in our new home! We’ve been in our home for just over a year now and missed our garden terribly last summer. We’re building raised beds and can’t wait to get back to veggies and strawberries. We also have 3 backyard hens in our “urban homestead”…looking forward to home grown veggie scrambles! I plan to expand my vegetable garden this year to grow more to share with friends. I also intend to plant more varieties of flowers to support bees in my area. I do a lot of container gardening and I hope to expand it. My main goal is to come up with a better way of keeping them watered. I love Renees seeds. I order some every year for my small garden. My gardening goals this year: remove turf & replace with garden beds; grow all my starts from seed; fence in new garden from deer & wild turkeys (< & I live in town! ); grow & put away most of our veggies for our family. Whew…that list makes me tired just looking at it, but, you gotta have goals! We hope to expand our garden this year to include lots of pollinator friendly plants. We have just got our Century Farm designation from the State of NC and really hope to continue tending the land as our family has always done. My goal is to have a year round garden this year…And to get my peas in the ground by the Ides of March! My goal is to finish the rest of the raised beds I’ve planned and move the garden fence to include the new area too. Sunny San Diego provides wonderful sun, excited to build some beds and plant some veggies. My gardening goals. Would be start a container garden since I live in an apartment this is a great way to start a garden. Either fruit or veggies. My 2017 gardening goals would be to have my community gardening efforts take off and get recognition & support. I can’t wait for all the snow to melt away and start gardening again. Every year I try growing new things. Excited to plant some sweet peas and cherry tomatoes, snacking from the garden with my littles makes the best memories. we actually just expanded our garden this last weekend, we’ll be planting all sorts of veggies and herbs, and even want to make a nice little paver path and add a bench to the garden too! I plan to grow lots of tomatoes and cucumbers again, and more sweet potatoes! We had really good luck with them last year. I plan to double the size of my food garden in 2017. I want to provide for all my family’s veggie needs through the summer and have enough salsa canned to last through next winter, and maybe some to give away! Hi, I am a single mom of 2 and I love to garden and cann. I love to teach my kids the value of gardening their own food and prepare it for them. It’s priceless to see their faces when the garden starts to bring forth fruit and veggies. I love Renée’s Garden seeds, I have had great success with them in the past and I enjoy trying new varieties and learning how to grow additional crops to share with others to try.